For the last eighteen years, Chopard has been an official partner of Cannes Film Festival so it is no surprise that the luxury jewelry brand has perfected the art of party hosting on the French Riviera. This year, celebrities and socialites got rowdy at Chopard’s annual late night, “Wild” party. The jungle-fever themed event went down on Monday, May 16th at Port Canto where guests, including Kate Moss with little sis, Lottie, in tow, mingled among exotic plants before gathering on the dance floor. 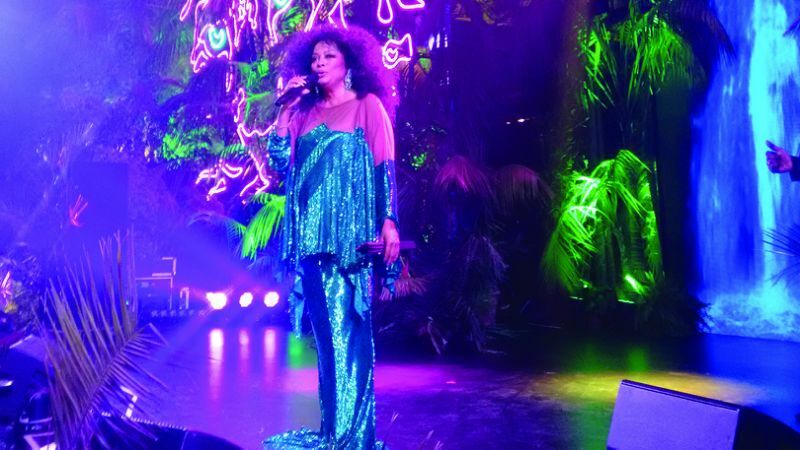 Up on stage, against a waterfall backdrop, legendary singer, Diana Ross, encouraged Kendall Jenner and other models of the moment to keep dancing. Ms. Moss was spotted singing along to all of Ross’s classic hits. Among those boogying to the beat were Adriana Lima, Petra Nemcova, Daria Strokous, Poppy Delevingne, Pixie Lott, Adriana Lima, Lotti Moss, Oliver Cheshire, Paris Hilton, Charli XCX, Natasha Poly, and Scott Disick. Later in the night, famed DJ and producer, Mark Ronson, treated guests to a set of crowd-pleasing tunes, including his smash hit, “Uptown Funk.” It seems like Chopard’s “Wild” party definitely lived up to its name.